I was out recently and saw a woman speed by in a vintage convertible Camaro. I ended up behind her at a light and had to snap a picture. Complete and total summer cool. It reminded me that this blog post is long overdue. 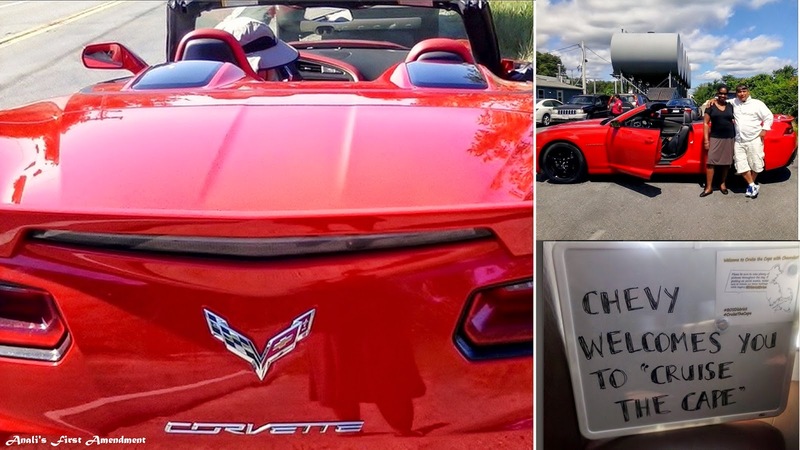 Earlier in the summer, I received an email on behalf of General Motors and Chevrolet inviting me to spend a day on the Cape, driving around in convertible Camaros and Corvettes along with stopping for breakfast, lunch and dessert. Um. Yes, please. Who would say no to that??!! 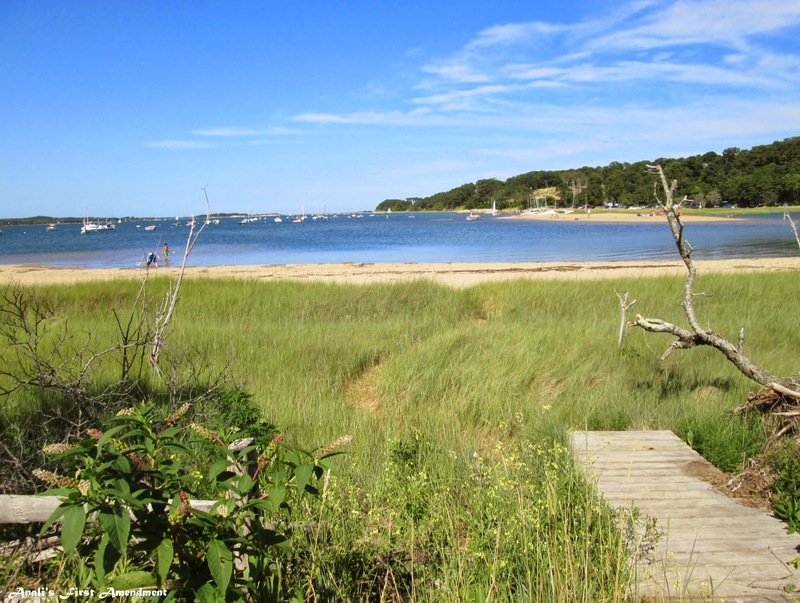 The Cape Cod outing was part of the Boston-based grassroots influencer program, Drive the District. G and I both took the day off and enjoyed the day cruising around the Cape! I enjoyed my pancake and egg breakfast at Marshland Restaurant in Sandwich. After we ate, we had our choice of cars to drive. I chose the Red Camaro and off we went! The weather was perfect for driving with the top down! Sunny. Hot, but not too hot. Enjoying the beauty of the Cape. We were able to drive around for a bit before our group met up for lunch. 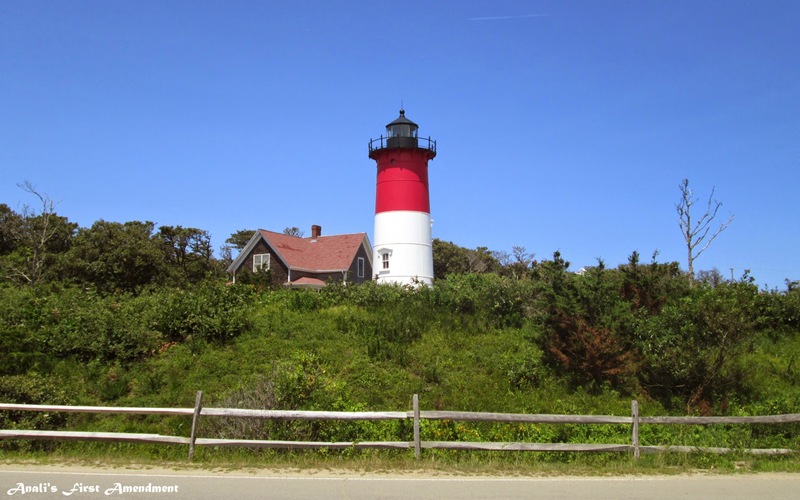 G and I drove to the Nauset Lighthouse in Eastham. 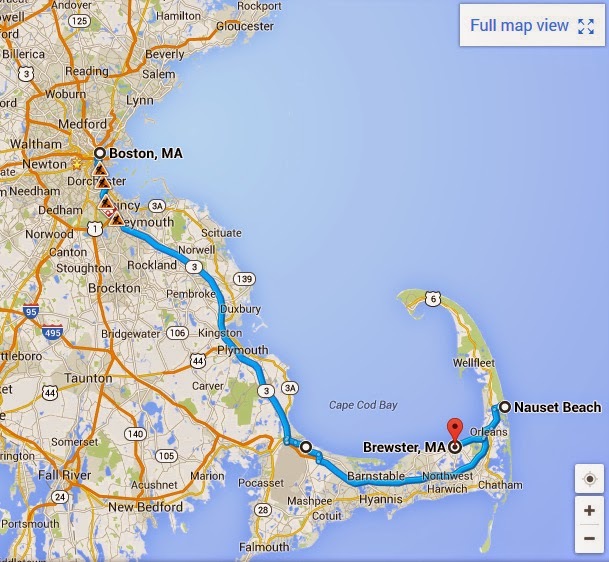 Here's a map below to give you an idea of our driving route. There were just a few other bloggers and everyone went somewhere different. I enjoyed driving the Camaro and feeling the warm wind blowing.That will be a nice memory come February! 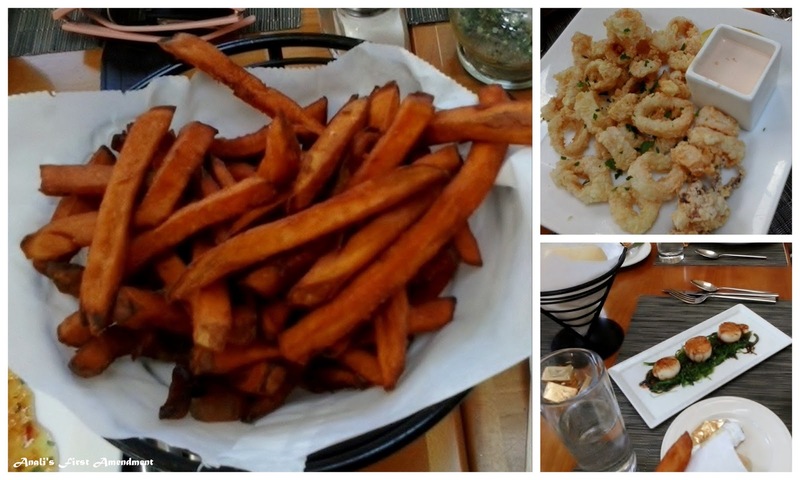 For lunch, we went to The Brewster Fish House in Brewster. I really wanted a lobster slider, but they had run out. I certainly didn't starve though! After lunch, we all switched cars. This time we got the red Corvette! Woo hoo! I was feeling rather relaxed and preferred to sit back and enjoy the ride. So I asked G if he would mind driving the Corvette. That's something I never imagined that I'd be asking him! He didn't seem to mind at all. Understatement of the century! When we pulled out of the parking lot, there were some kids on the street who started smiling and waving at us. 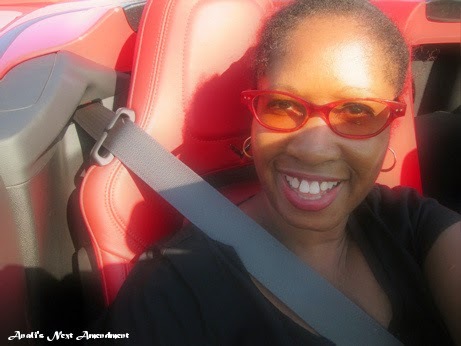 People notice you in a red Corvette. We noticed a big difference between the Corvette and the Camaro. The Corvette had a much more luxurious interior and the power was incredible. That engine growled! We drove around some more. Then stopped by this beach. It was such a lovely view. Then we headed back. We were given some goodies from The Underground Bakery and beach tote bags to take home. When I look back and think about some of the fun things that I've done this year, especially this summer, I'll remember the day that I got to cruise the Cape! Disclosure: G and I were treated to meals for the day, given beach bags and were allowed to drive cars as part of the Boston-based grassroots influencer program, Drive the District, by GM. Thank you!